Last Saturday it was my birthday and I turned.....29! I am officially in the last year of my 20's. 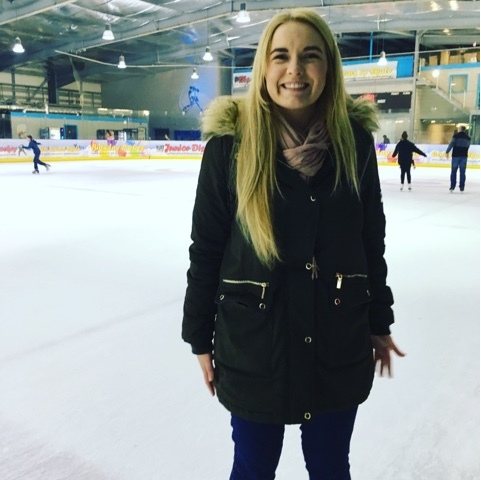 When I was young I imagined being married with children by this age and I had a slight wobble before my birthday thinking to myself - OMG what I am doing with my life - but actually I have a pretty amazing life and I have achieved so much in my 29 years! One thing I am extremely grateful for is my wonderful boyfriend who made my birthday weekend special! 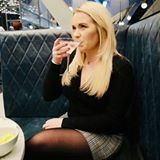 What does a 29 year old want to do on her birthday? Go out and get stupidly drunk.....not me! 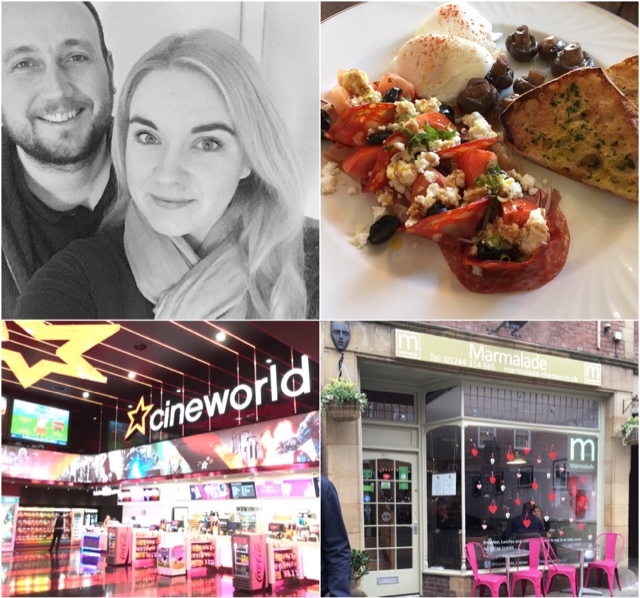 We ate lots of lovely food, and by lots I really mean lots, we went to a cafe we haven't been too before called Marmalade in Chester (amazing breakfast) and our usual favourite Cafe Fude in Chester too. We went to watch T2 (Trainspotting) at the cinema, which I would definitely recommend going to see if you haven't already. We relaxed at home catching up on things we wanted to watch and we even went ice skating, something Rob had never done before and I haven't done in years! Ice skating was hilarious, I had forgotten how hard it was and poor Rob, who has almost zero balance, tried his very best to stay on his feet and did a pretty good job with only one fall. We went to Silver Blades in Widnes which cost around £12 each including skate hire which isn't too bad. 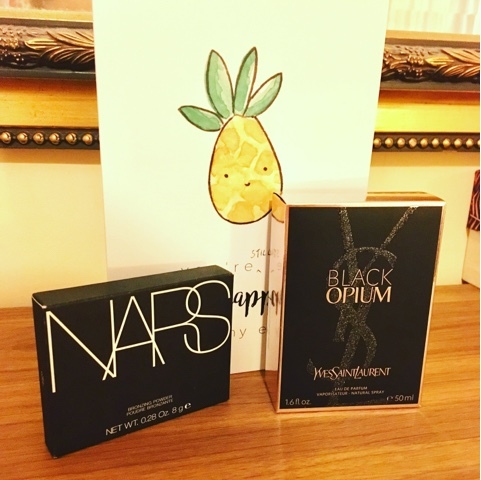 Black Opium perfume from Yves Saint Laurent, which I have been lusting after for ages and NARS Laguna bronzer which I will review in full soon! 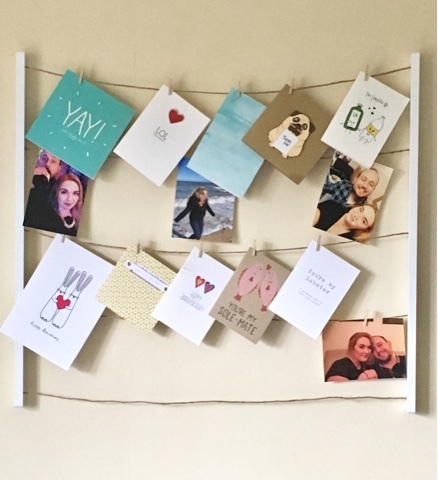 I had also hinted since Christmas that I wanted something to keep all of the cards Rob and I had bought for each other displayed somehow, because I am quite sentimental when it comes to cards, and he got me this photo display which I love! So I am officially in the last year of my 20's and I am looking forward to what the next 12 months will bring! How do you like to spend your birthday? A big night out or are you an old lady at heart like me? L'Oreal Foundations - Which Is Best For You? A Massive Bag Of LUSH Treats!